I started using a Roland GR-55 about four years ago. Soon after getting it, I made a video of some of my original compositions arranged entirely on my bass. I used the GR-55 to create different voices. Remarkably, that video passed 20,000 views last week. You can watch it here. 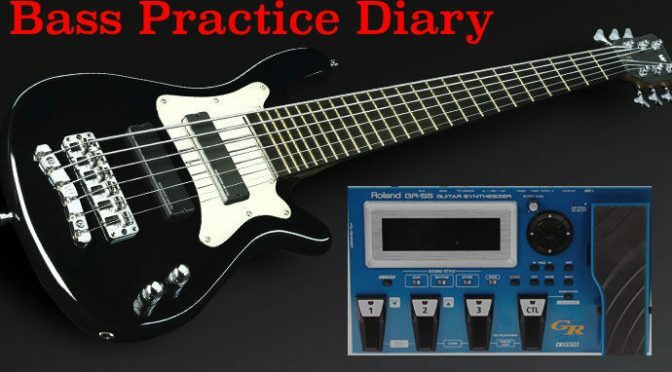 To mark the event I’ve decided to feature the GR-55 in my Bass Practice Diary for the first time. I never imagined that my original video would be so popular. In fact I was slightly concerned about releasing it. Because I thought I might get some negativity from people who don’t like the idea of playing a bass through a guitar synth. In fact the reception that the video has received has been almost entirely positive. I write and arrange music on my bass every week. 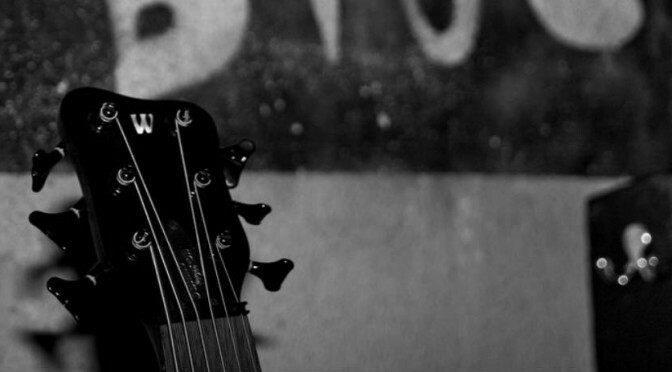 I can play several instruments, but bass will always be my first instrument, just like English is my first language. So it’s far easier for me to compose with my bass than with a guitar or piano. The Roland GR-55 gives me the capability to use my bass like an electric keyboard. As a way of utilising MIDI. 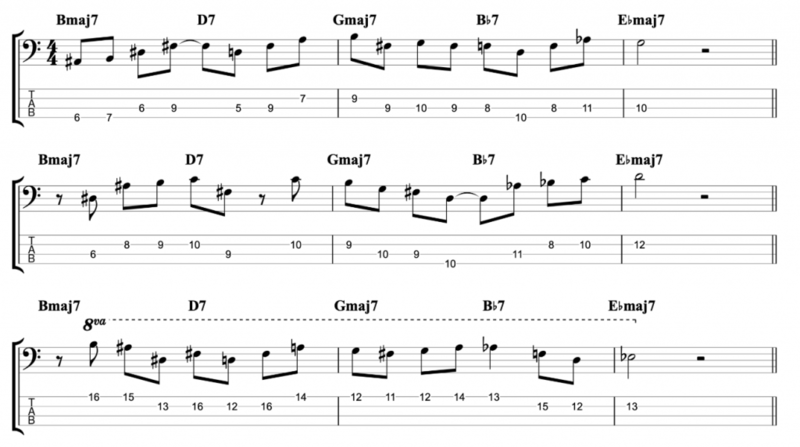 The advantage of this is that I can lay down entire tracks on my bass, either multi-tracking or looping without it sounding like an orchestra of bass guitars. 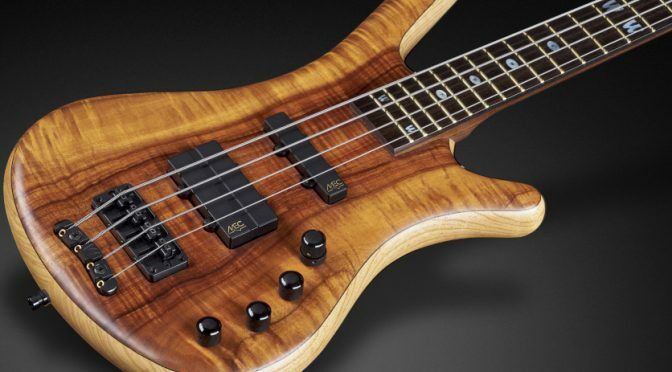 And the GR-55 also gives me the potential to use the regular pickups on my bass at the same time or independently, so I have the best of all worlds. It’s like my bass has become a bass and an electric keyboard all rolled into one. I get that many bass purists won’t like some of the synth sounds. But for me, as a way of presenting my music, the pro’s of the GR-55 vastly outweigh the cons. Can You Plug a Bass Straight Into a Roland GR-55? No, you need to install a Roland GK-3B pickup onto your bass before you can plug into a Roland GR-55. Because the GR-55 does not have a jack input. You need to use a 13-Pin MIDI cable which will connect with the GK-3B pickup. The pickup also has a jack input so you can plug your bass into the GK-3B and control both your normal bass pickups and the GK-3B MIDI pickup through the GR-55. The GK-3B is relatively easy to install. I installed mine myself by following the instructions. You can install it with double sided sticky strips, so there’s no need to drill into your instrument unless you want to attach it permanently. You may have noticed that I’ve attached the GK-3B to a black bass. The pickup is black, so if you install it on a bass of any other colour, there’s a good chance it will spoil the appearance. 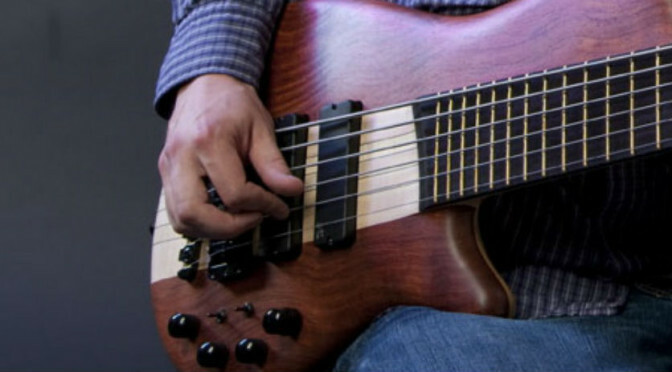 You can attach the GK-3B to 4, 5 or 6 string basses. The same pickup works for all of them.